Voglio parlarvi di una marca con cui ho avuto il piacere di collaborare di recente, SheIn. SheIn è uno shop online con una quantità letteralmente infinita di capi perfettamente in linea con gli ultimi trend del momento, costantemente aggiornati e in continuo rinnovamento. Non innamorarsi di qualcosa sul loro sito è pressoché impossibile, dal momento che la scelta è davvero ampissima, tanto che più di una volta sono stata tentata di riempire il mio carrello virtuale. 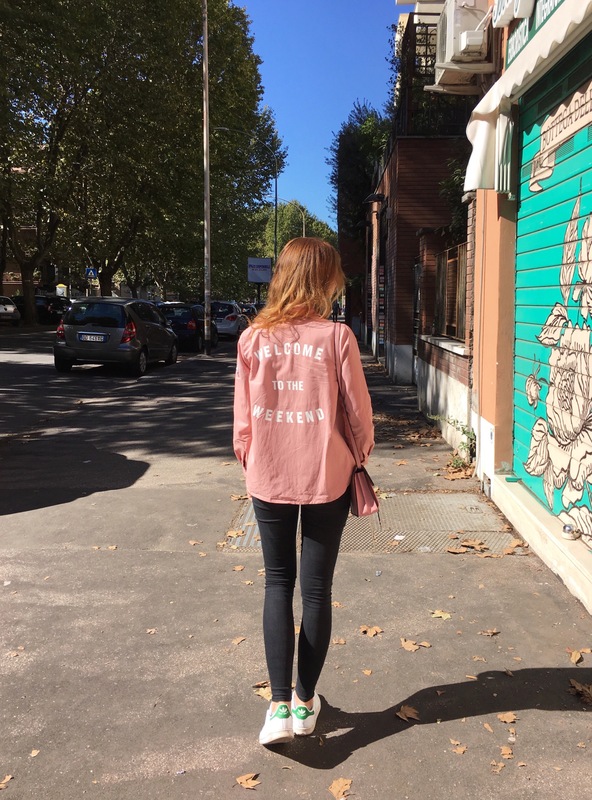 Alla fine la mia scelta è ricaduta su un pezzo che cercavo da tempo, una camicia di un bellissimo rosa pastello, con varie patch e spille sul davanti e una scritta che adoro sulla schiena. Mi è piaciuta sin da subito perché è uno di quei capi che trasmette allegria a primo impatto (non a caso trovo che la scritta “Welcome the weekend” sia azzeccatissima! 😛 ), molto versatile e facile da abbinare. Unfortunately yesterday I couldn’t update the blog, so today here I am, a little bit late but with a new post! I want to tell you about a brand I had the pleasure to collaborate with recently, SheIn. SheIn is an online shop with an infinite number of clothing pieces inspired to the latest trends, always new and updated. It’s impossible not to fall in love with something on their website, and I’ve been tempted more than once to fill my virtual cart with their products. Eventually, my choice fell on a piece I have been looking for for a long time, a beautiful pink pastel shirt, with patches and pins on the front and a writing that I love on the back. It was love at first sight because it’s one of those pieces that immediately transmits joy (I think that the “Welcome to the weekend” writing is sooo apt! 😛 ), super versatile and easy to combine. 43 risposte a "A touch of pink with SheIn"
Love the message on the back of this piece! The pink shirt does make it special. Thank you so much for passing by my blog today and introducing me to yours. 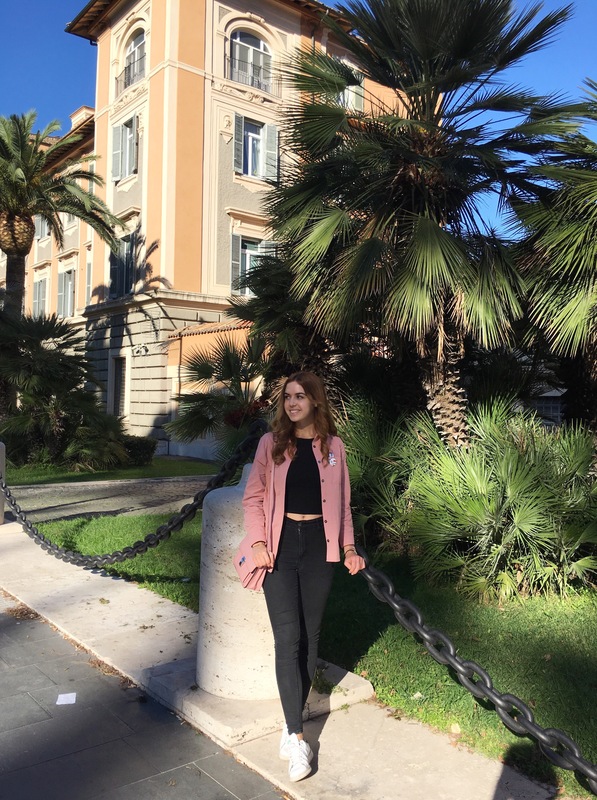 Love your pink jacket! SO fab! This pink jacket is so cute! 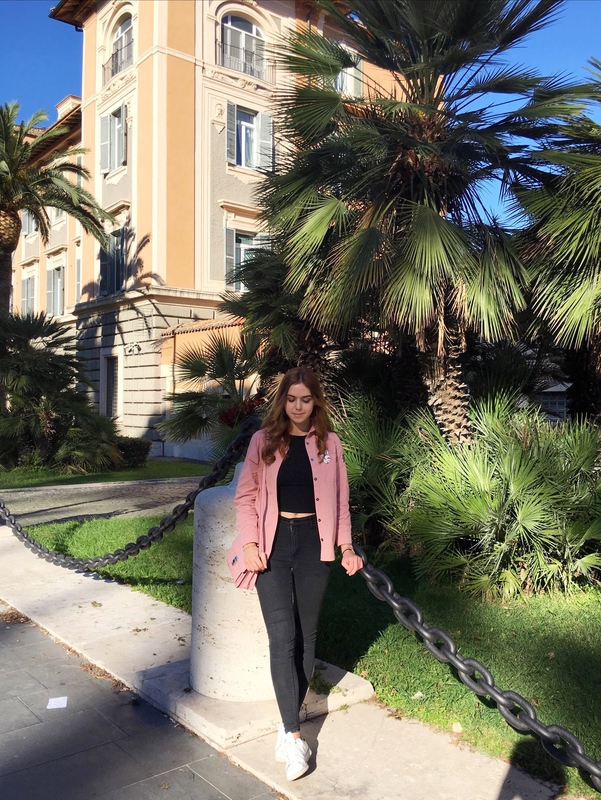 Beautiful casual look and cute pink jacket! It is such a stylish jacket. Love the look. Love the back of this jacket! So cute! I really love your outfit, I am so in love with pink. Loving the sneakers with this! Same here! So glad someone gets me, hehe! This is such a cute and put together outfit. Love it! So pretty with the jacket!!!! Love it! This jacket is a wow!!! Fantastic casual look! Love your jacket!